One thing that I really love about Oahu is that it’s a very accessible island. You can see a lot of beauty and get a feel for the island from a variety of tours, scenic drives, and paved walks. Hawaii Aloha Travel offers a number of Jeep tours that take you to many of these accessible places. Spend one day on one of our tours, and we will immerse you in the beauty of the island and take you to our favorite places. Sure, there are plenty of adventures you can go on, mountains to climb, and places to snorkel. But are also a number of beautiful places that you can simply drive to. Bring a cup of coffee or even a picnic lunch, and enjoy these beautiful lookouts. These are among the most beautiful spots on the entire island, and they take very minimal effort to get to. To me, that makes them among my must-dos for any visitor to Oahu. Depending on what else you have scheduled, many of these will also be on your way to different places around the island. Plan out your route and don’t forget to stop at least a few of these places! If you are driving on the Pali Highway from Honolulu to the windward side of the island, you will drive right past the entrance to the Pali Lookout, so you might as well stop by. This lookout is just 5 miles from Honolulu, but feels like worlds away. Follow the signs and you will leave the highway and drive on a back road to get to the Pali Lookout. The lookout sits over a thousand feet above the Oahu coastline, with views of the windward side of the island and the ocean. This lookout gives you an incredible bird’s eye view, but if you aren’t looking for it, you might miss it, because it’s not visible from the road. 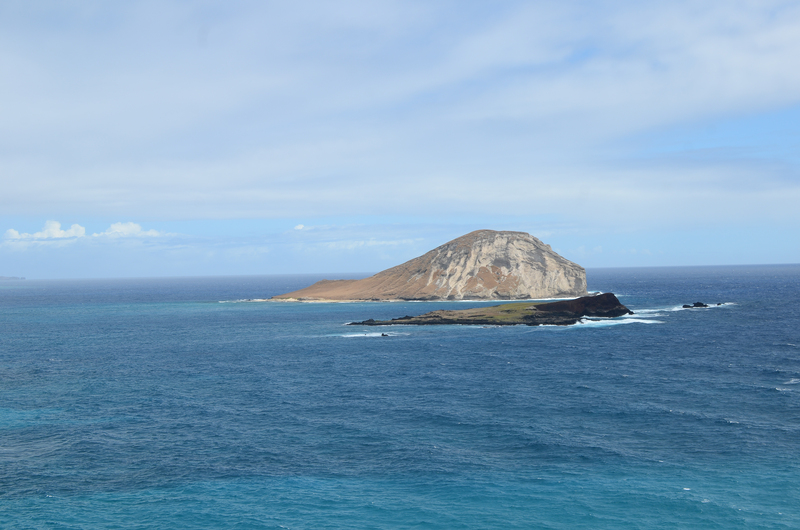 You can see Flat Island, the Mokes, and, on a clear day, the island known as Chinaman’s Hat. “Pali” means ‘cliff’ in Hawaiian. Aside from being a beautiful place to stop and take a picture, it also has significance in Hawaiian history as the site of the 1795 Battle of Nuuanu. During this battle, King Kamehameha I united Oahu under his rule. Parking is $3.00. All of the other lookout points in this article are completely free. The drive along Kalaniana‘ole Highway (Highway 73), along the southeastern coast of Oahu is one of the most beautiful drives I’ve ever been on. It’s worth the 30-minute drive from Waikiki down to Makapuu, especially since there are some great restaurants on the way, like Kona Brewing Company. The first major lookout point you will see along this route is Lanai Lookout. You can put Lanai Lookout into your GPS, but the sign directing you there will just say Scenic Point. To me, Lanai Lookout is a truly underrated spot on Oahu. You don’t hear about it as much as you do the other lookout points, but it’s so unique and so beautiful. As you look out onto the Pacific Ocean, the crystal clear blue and green waves crash onto lava rock. I think it’s one of the most beautiful and unique places on Oahu, and it’s very different from anything you will see in Honolulu. Whether or not you choose to climb down (which takes a lot of effort, skill, and sneakers), I recommend stopping at this lookout for a few minutes. This popular lookout point can get jam-packed, but if you wait in the parking lot, you can usually get a spot within a few minutes, since people don’t tend to stay here for too long. If you are lucky and the waves are strong, you might be able to see the blowhole. 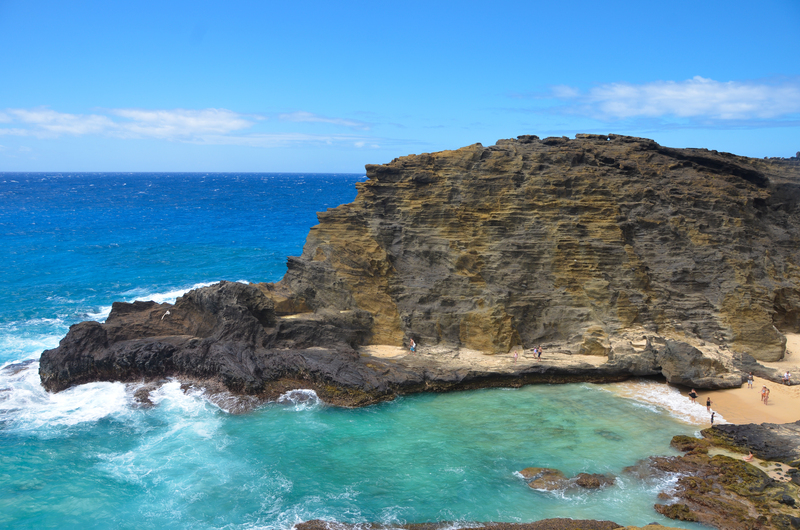 Halona Blowhole was created thousands of years ago when lava tubes were formed from volcanic eruptions. Oahu doesn’t have any active volcanoes, but the lava rock remains. In the winter, you can often find whales in the distance. If you are lucky and the waves are strong, you might be able to see the blowhole. 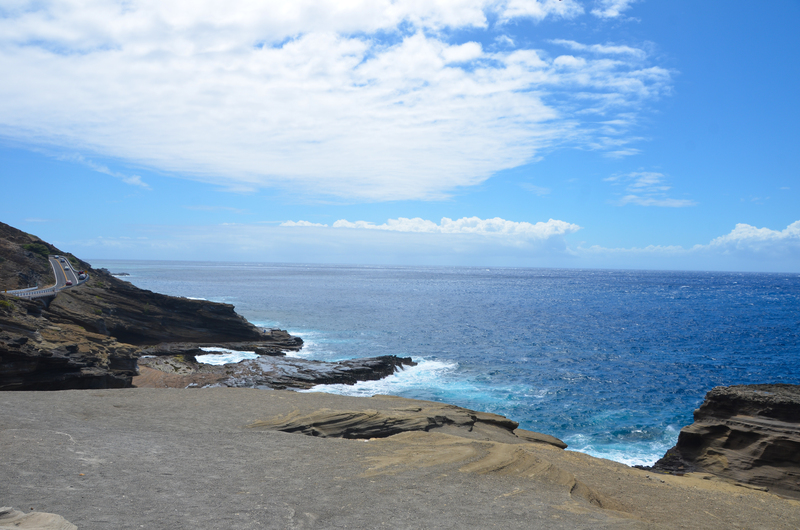 Although just five minutes down the road from Halona Blowhole, you will want to also stop at Makapuu Lookout. The sign will indicate that you are indeed there. Here, you will see both Rabbit Island and the mountains that hug the coastline. Next to this parking lot is the parking lot for the Makapuu Lighthouse Trail. Luckily, you can get pretty much the same views just by going to the lookout point. If hiking isn’t your thing or if you are driving around during the middle of the day, I would advise you to stop at the lookout point instead of doing the hike. There is no shade on the hike, and a trip to Makapuu Lookout is just as stunning. In the winter, this is a great place to spot whales. 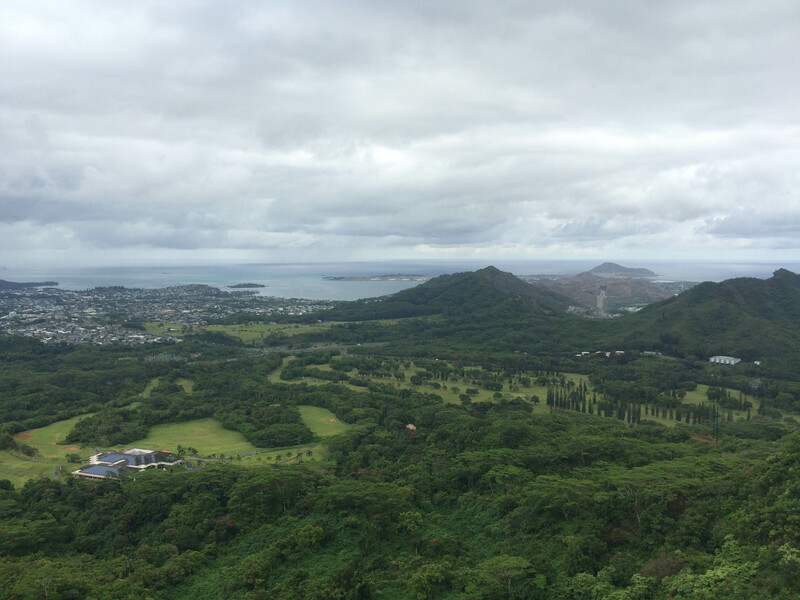 For a different view of Honolulu and Diamond Head Crater, come to the top of Mount Tantalus. This view is a bit off the beaten path. It’s not difficult to get to, but it just takes a bit of effort. It’s a short, but steep drive to the top as you slowly drive through a curvy residential area and make your way to the top. Many locals like to ride their bikes up to the top for exercise, so watch out for cyclists. There is a huge, free, parking lot. Take your time enjoying the scenic beauty. Some lookout points don’t really have an area for you to sit and relax in, but there is a huge grassy area up here that’s perfect for picnics. Sometimes I bring a blanket and some food and just hang out up here. You might recognize the gorgeous Laie Point from the movie, Forgetting Sarah Marshall. In the movie, they hike out to Laie Point. In reality, you can just drive right up. You can’t see Laie Point from the main road. Tucked behind a quiet neighborhood, you have to know what you are looking for because there are no signs directing you. Typing Laie Point into your GPS will get you there. 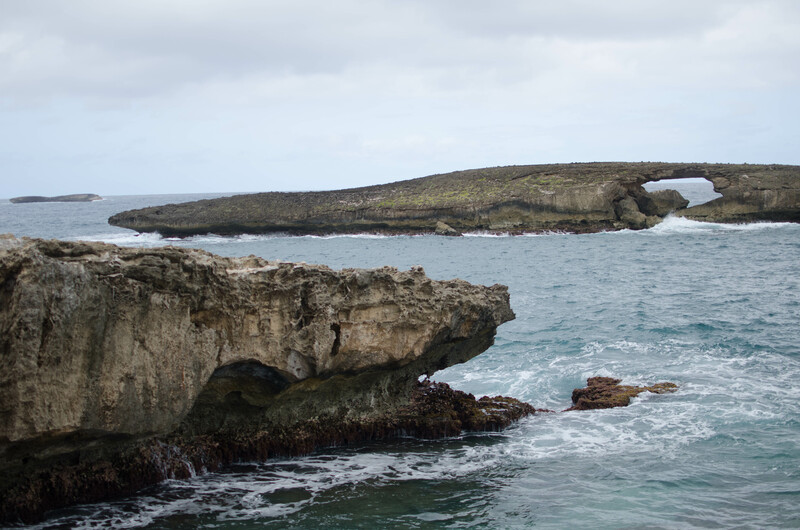 Laie Point is peninsula surrounded by many different rock formations. In the winter, the huge waves crashing on them is an incredible sight. If you are coming to Lanai Point, wear sneakers, because the ground is very rough and rocky. It’s easy to get to, but hard to walk on. Typing “Laie Point” into Google maps will get you there without a problem. There is not a lot of parking here, either, but since people come and go quickly, you shouldn’t have to wait long for a pot. Don’t park in the residential area. There are two great places to check out right across the street from Laie Point to satisfy your hunger and sweet tooth. Seven Brothers has great burgers and milkshakes, using local and fresh ingredients. Angels Ice Cream has delicious ice cream and shave ice. They are both closed on Sunday, as is everything else in the town of Laie, home to the Hawaii campus of Brigham Young University. Laie Point is right near many of the best-hidden gems on the north shore, so make a day out of it and enjoy everything the beautiful north shore of Oahu has to offer. If you want to experience all that Hawaii has to offer, including stops at the most breathtaking sights on Oahu, call us to book our Oahu Circle Island Tour. For this tour, we have perfected a route that hits the best stops on Oahu. But, we also customize it for our guests’ interests. If there is something on your bucket list, let us know that we will try to make it happen during the tour. 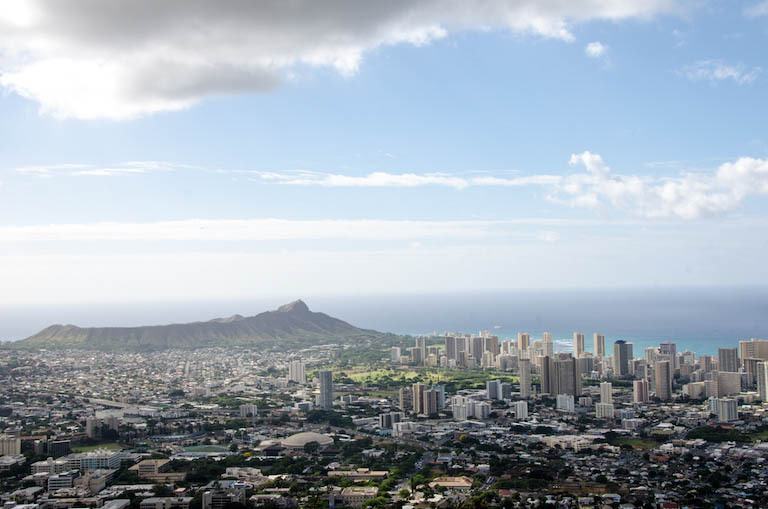 Frequent stops on this tour include Dole Plantation, Iolani Palace, Downtown Honolulu, Haleiwa, Wailua Coffee Farm, Haleiwa Town, Alii Beach to see turtles, and Kawela Bay. You may also visit the Banzai Pipeline, Sunset Beach, and Waimea Bay, where the huge waves are a sight to see during the winter months. Based on your interests, we can also visit the Mac Nut Farm, Shark’s Cove, and Aloha General Shave Ice. Call us today to reserve a spot on our Oahu Circle Island Tour. Let us plan out the routes and the stops while you relax and enjoy the views!